The colorfully decorated door opens into the showroom, where you will see a multitude of samples that include Wall finishes, Furniture finishes, Cloud Ceilings and a wide variety of mixed media art, including ship’s portholes with famous historical figures looking out at a triptych painting of Antarctica Penguins on the icecap, all anchored by a majestic 8 ft tall Bas Relief that includes a stained vertical concrete dry stack rock fireplace..
To the left is the room of “all trades.” In this room are a variety of dedicated stations for mold making, various forms of tooling including leather tooling, a sewing station and Eva’s huge selection of specialized brushes and tools. There are storage cabinets and assigned shelves to accommodate the various Bas Relief themes that Y-Knot-Creations has created such as Elizabeth HRH, 20,000 Leagues under the Sea, Mount Rushmore, the Wildebeest Migration and others. Not to be forgotten in this room is the YKC Tavern with its own Whiskey Barrel for a refreshing cocktail after a hard days work! 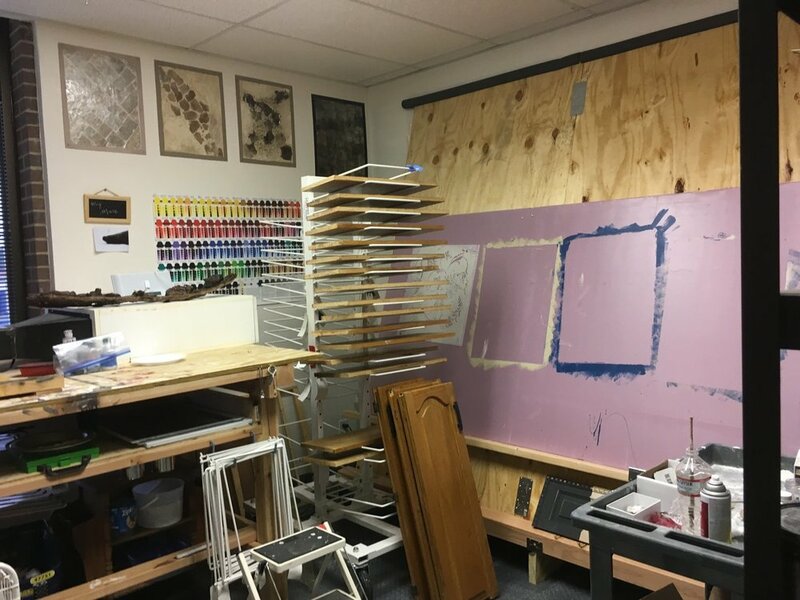 The room to the right houses all of YKC’s products, paints and painting supplies as well as a custom-built 8 ft easel for working on large Bas Relief projects. 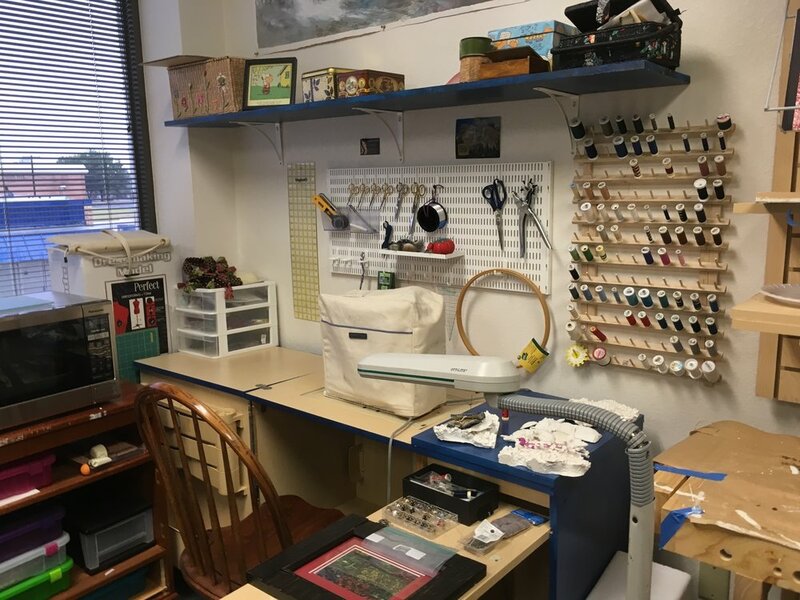 There is also an 8 ft by 4 ft work bench for sample making, a sample dryer and a cabinet rack that can hold up to 32 cabinet doors and drawers during cabinet refinishing projects.